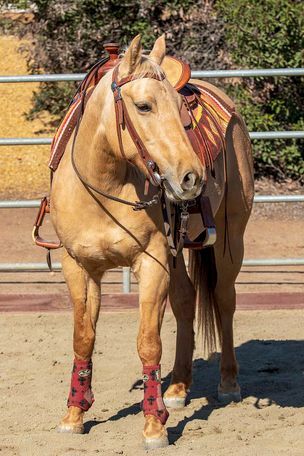 14.2 H, Palomino Mare, 6 yrs. 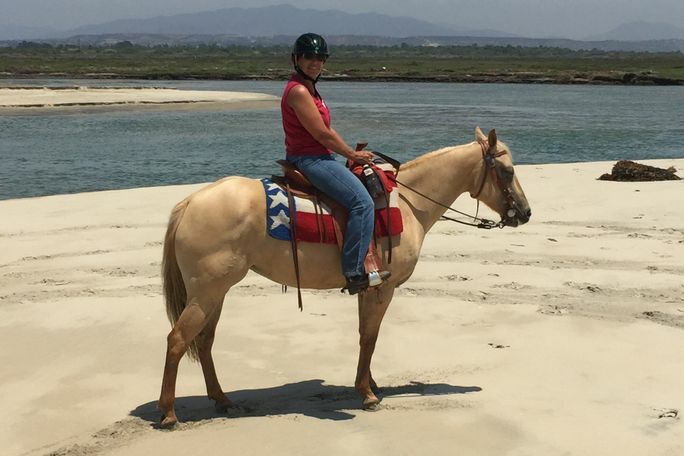 Sandy is very well-rounded and settles right into wherever she travels. 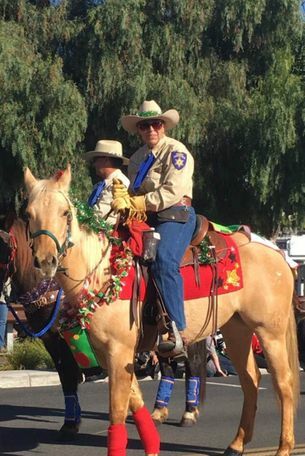 She has done many parades, camp outs, ranch rides, obstacle challenges, sortings, some penning and beach and trail rides. She is a very sweet horse with no marishness, and she loves attention. She also has NO vices or issues! She is easy going and well-mannered. She spent 6 months in reined cow horse training, but I did not have the funds for another year to finish her. 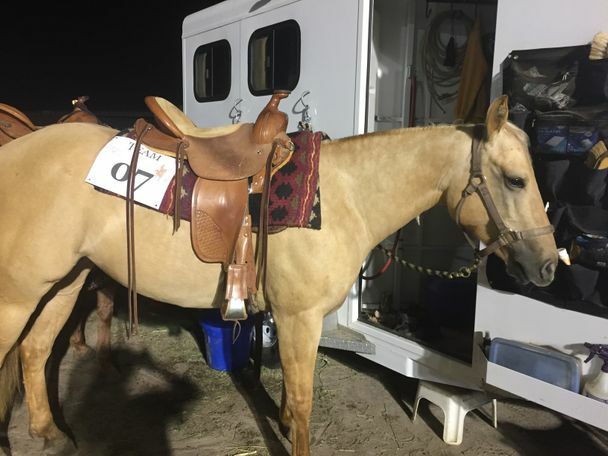 She did spend 4 months in training with a mounted shooting trainer, and had more training on cattle work. 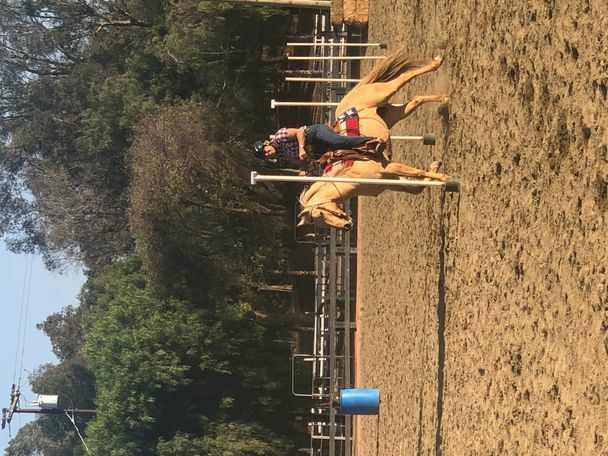 We do sensory trainings and she is consistently ridden to be in good condition. It's hard to give up on her, because she has much to offer, but I would like more advancement for competitive cattle work. She is totally quiet in the trailer and stands tied. UTD on shots and teeth. A very willing partner!